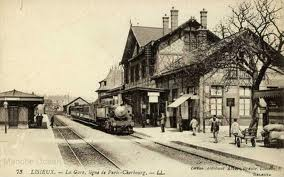 Despite best intentions, no time for model railway today. 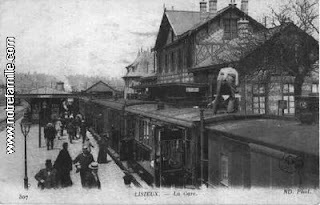 So, instead, here are some photos of the railway station at Lisieux in North West France. 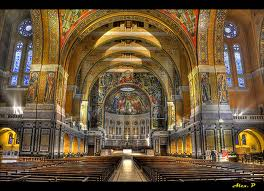 A dozen years ago, we visited the Basilica in Lisieux. 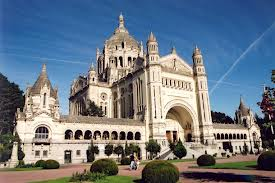 Opened in 1954, it is devoted to the early 20th Century French Saint, Therese of Lisieux. 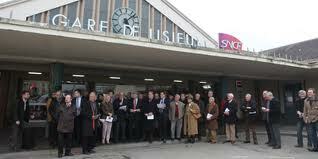 The town is small, the basilica is worthy of a city. 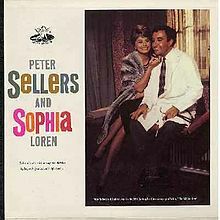 Haven't had time to listen to any music today although I have found myself singing this old ditty by Peter Sellers and Sophia Loren. Her: Oh doctor, I'm in trouble. Her: Maybe it's my back. Him: Ah, I'm sorry, it is us. 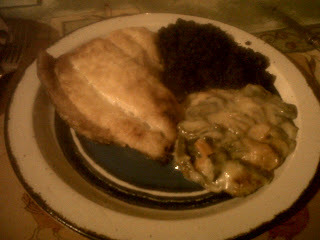 Plaice from the freezer, black pudding and a cheesy concoction of skinned peppers, asparagus and courgettes. Commonly known as The Little Flower. 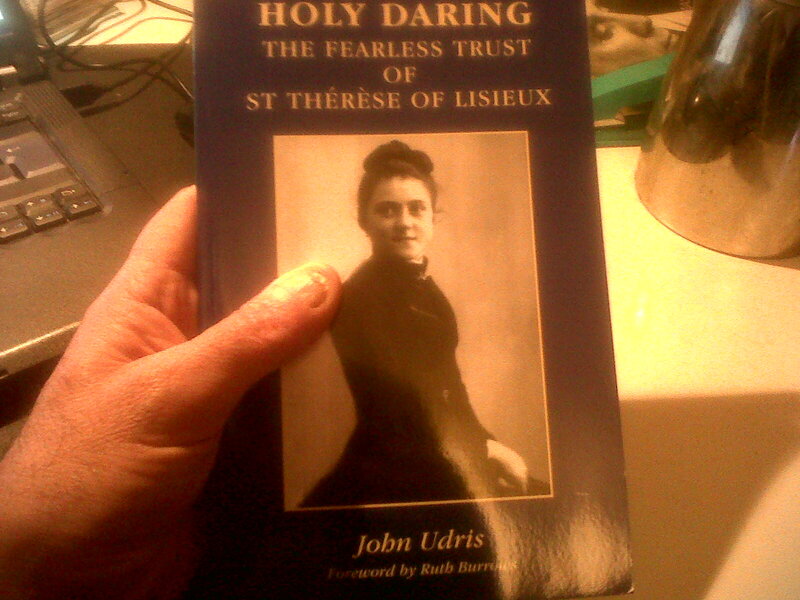 Her basic thesis is that we should approach Christ with a child-like trust and simplicity. I see this kind of religion (I use the term loosely) as the opposite of the intellectual approach of Thomas Merton. And, I am very drawn to the doctrine of simply trusting in Jesus. 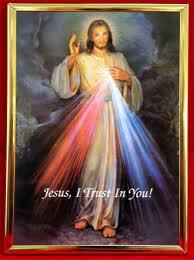 Another favourite Saint of mine is the Polish nun, Saint Faustina whose motto was, "Jesus, I trust in You." Is there any need for a more complex or esoteric approach to prayer?